Next, make sure your onion and basil are chopped and the cheese is grated so you can add them to the soup when necessary. In a hot pot add the olive oil and onion and cook until the onion is translucent. 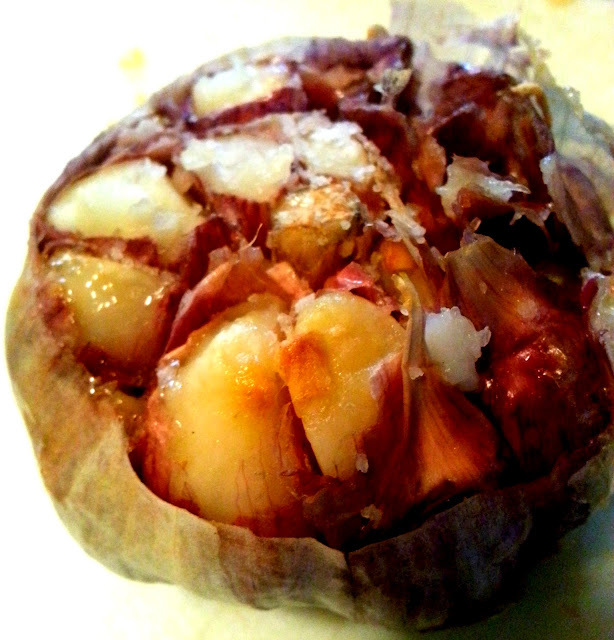 Then add in the roasted garlic and let the onion and garlic work their magic. After about five minutes, add the cans of diced tomatoes and vegetable broth. Stir. Then add in the basil, oregano, sugar, and salt and pepper. Let the soup simmer for about fifteen to twenty minutes (with the lid on). After the time is up add the cheddar cheese and Greek yogurt, then stir once again and let simmer for another ten minutes.The soup with become thicker at this point. Next you will need to puree the soup. You can do so with an immersion blender or food processor. Make sure the soup is creamy and delicious with little to no chunks. Garnish the soup with some of the extra basil and cheddar cheese. Add a nice chunk of whole wheat bread. Or add some more cheese to this meal by making an ooey gooey grilled cheese sammy! Make sure the soup isn't too hot and then dig right in!